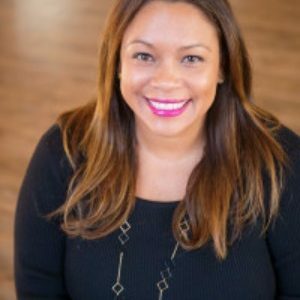 Mari-Elena Leckel is extremely passionate about supporting, educating, and empowering families during pregnancy, postpartum, and beyond. She was born in New York and is the oldest of three children. Mari became a mother at a young age and met her husband when her daughter was seven years old. With the love and support of her husband and family, and her determination to succeed, she decided to go back to school and went on to graduate from Tufts University with a degree in Sociology. Upon receiving her degree, she began working in law enforcement. Mari and her husband decided in 2009 to expand their family but were challenged by infertility issues. The next few years were filled with a multitude of doctor visits, moments of excitement and also heartbreak. In 2012, she gave birth to her second daughter and because of the tremendous amount of love and support throughout her journey, she wanted to “somehow, give that back.” She completed trainings as a Childbirth Educator, Labor and Postpartum Doula through CAPPA (Childbirth and Postpartum Professional Association), Dancing For Birth™ Instructor, Belly Binding Artist and Certified Child Passenger Safety Technician. She received her Certification in Lactation Counseling and is certified by the Academy of Lactation Policy and Procedure. Mari is also trained as a Labor and Postpartum & Infant Care Doula and Infant Feeding Specialist through ProDoula. She has been featured in Pregnancy and Newborn Magazine’s “Ask the Experts” and facilitated a workshop on running a successful doula agency at the 2017 annual ProDoula Conference. In 2018 Mari was invited by a Massachusetts hospital to provide a training to their labor and delivery staff on comfort measures in labor. She was the Director of Doula Services and built a successful doula agnecy for Acelleron Maternal Health & Wellness until they decided to close their doors in October 2017. Mari and her team had a passion and commitment to continue to support families and Boston Birth Associates was born. The journey to motherhood is different for everyone but Mari believes every mother and family deserve to be loved, encouraged, educated, and empowered with non-judgmental and unconditional support. Mari considers it an honor and privilege to work with families during such intimate and special moments. Megan O’Neill, CLC, has always held a strong passion for women’s health – especially during pregnancy, childbirth and lactation. Megan received her Certification in Lactation Counseling and is certified by the Academy of Lactation Policy and Procedure. She is also a CAPPA-trained Childbirth Educator. Megan has worked in parenting support and education for the last twelve years, and is very excited to help guide and encourage new families during this exciting time. She is a graduate of Merrimack College. Megan is the mom of two little boys, Declan and Brian, and daughter Kieran. She has six-plus years of breastfeeding experience. Megan understands the intricacies of breastfeeding, bottle feeding, and everything in between. She offers an understanding, non-judgmental view on parenting – striving to make all families feel accepted and supported. Kit Normand is a mom of two boys, 5 and 2, and lives with her family on the North Shore. She has always had a love of children and after becoming pregnant with her first son, developed a strong passion for all things pregnancy and birth related. Kit has a Bachelors in Psychology and a Masters in Early Education. Her knowledge of both fields, along with her own personal experiences, makes her a valuable resource for birthing and postpartum families. Kit is a ProDoula trained Labor and Postpartum & Infant Care Doula. She received her Certification in Lactation Counseling from the Academy of Lactation Policy and Procedure. She teaches Breastfeeding Essentials and Newborn Care classes at Boston Birth Associates as well as in-home private classes. Kit has over 5 years of personal breastfeeding experience and has helped countless mothers through their own feeding journeys. Kaleigh Daigle has always felt drawn to the world of pregnancy, birth and new life, even from a young age. She was born and raised in Ipswich, Massachusetts and attended The College of Charleston in Charleston, South Carolina where she received her degree in Communications. She lives in North Reading, Massachusetts with her husband and two sons. While birth had always fascinated Kaleigh, she was terrified of experiencing it herself. When she became pregnant with her first child in 2015 she decided to make the most of the experience. Through research, reading countless birth stories, completing a HypnoBirthing Course and with the support of her own doula, Kaleigh was able to have a beautiful birth experience of her own. In the postpartum period she found unbiased emotional support in a new mom’s group as she adjusted to motherhood. These experiences were life changing and reignited her passion for birth and for supporting others. Kaleigh knew then she wanted to become a doula. In 2016, Kaleigh attended both a Labor and Postpartum & Infant Care Doula training with ProDoula and began her career as a doula. Over the past two years she has had the honor of helping many families welcome their child to the world and adjust to parenthood in a caring and supported way. This past year Kaleigh also trained to become a Postpartum Placenta Specialist and Certified HypnoBirthing Educator. She has enjoyed teaching HypnoBirthing, the Mongan Method, to families in search of a more calm and gentle way to birth. Kaleigh has learned that each family has their own way of parenting, feeding, birthing and raising their children, but in the end all parents love their children unconditionally. She takes pride in and enjoys supporting each family as they make their way into parenthood in the way that feels best to them. Being the oldest of 5 children, Amanda has been in the position of caregiver since childhood & has found supporting new mothers and babies to be second nature to her. After having her own traumatic birth and a NICU stay for her daughter, Amanda knew it was important to take the wisdom from her own birth experience and bring a new level of support and encouragement to her birth and postpartum clients. As a postpartum doula she strives to support new parents with comfort, education, and a lot of TLC. Amanda also has a bachelors in music and enjoys incorporating music therapy into her routines with both birth and postpartum clients. One of Amanda’s favorite things about being a doula is seeing the transformation of new parents into their roles and watching the new normal of families find its place, like it was always there! Amanda has had extensive experience with multiples, babies with reflux, colic, breastfeeding issues, sleep training, etc. Amanda lives in New Hampshire with her husband, daughter, and 2 fur kids. Tracy is beyond happy that her life has lead her down this path…into the world of babies, mothers, fathers, families and parenthood. She grew up on Long Island and now lives in Southern New Hampshire with her husband, two daughters and dog. Tracy attended Stonehill College where she received her Bachelor of Arts in Psychology and then went on to receive her Masters in Health Education from Boston University. From the time she was young Tracy always knew working with babies, children and families was something she wanted to do. She’s been a gymnastics coach, babysitter, special education teaching assistant, preschool teacher, health teacher, nanny and then landed her dream job…Mother! Currently, Tracy is a full-time momma, preschool blogger, barre studio babysitter and interactive media coordinator for Audrey’s Bear. Tracy is a Pro Doula trained Labor and Postpartum and Infant Care Doula and Infant Feeding Specialist. Being a doula is the perfect fit for Tracy and she believes that this is truly her calling. She was blessed to have two healthy pregnancies, labor and deliveries and breastfeeding journeys. Tracy has over 3 years of personal experience breastfeeding experience and is honored to support mothers on their breastfeeding journeys as well. When a family opens their doors to Tracy and lets her in, she graciously opens her arms, heart and soul into providing nonjudgmental support to families. She is honored to be working with families on such an intimate level and watch them smile, love one another, grow, learn, create memories and find their way as their new chapter unfolds. Tracy hopes to continue her education in this field as her children grow and she grows with Boston Birth Associates. Tracy is known for her sweet, child-like, soothing voice. Works well on babies and doggies! Tracy was a contestant on Wheel of Fortune with her husband John! Not so fun facts: They were not big winners on Wheel of Fortune! Darla Parisi is mother to five biological and three bonus, wonderful young adults. Her “day job” currently is working in the home care field with the elderly, which is a job that she enjoys each and every day. Darla has been a Licensed Nurses Aide (LNA) since she was eighteen years old. When her youngest child was born, Darla opened a home daycare which she ran for thirteen years. As with most things Darla does, she dove right in and took classes and workshops to enhance her skills as a caregiver. Through these courses, she became a licensed, credentialed, and nationally accredited daycare owner. In addition, she took American Sign Language courses to broaden her horizons. She also worked with Easter Seals and took in children who were developmentally challenged. Working in the caregiving field (both with children and the elderly) allowed Darla to expand her skills and come across amazing people and opportunities. When she owned Darla’s Daycare, Darla became friendly with one of her childcare parents. When that friend had her youngest child, she asked Darla to be in the delivery room to support her and her family. It was an amazing moment for Darla and led her to becoming a doula. She loved being with a family during such a special moment and felt honored to be able to support them through the birthing process. Laura Wright was born on an Air Force base outside Dayton, Ohio. She moved many times as a child, a theme that followed her into adulthood. Laura attended Michigan State University, during which time she completed study abroad programs in both Hungary and Mexico. She graduated with a Bachelor’s Degree in Marketing in 2003. After graduation, Laura moved to Madison, Wisconsin to work at a healthcare software company where she met her husband, to whom she was a mentor when he first started with the company. 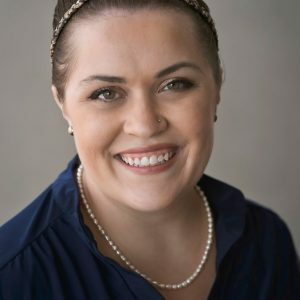 The two lived in Wisconsin for 8 years and then moved to Dallas, Texas so Laura could obtain her Master’s degree in Clinical Nutrition at the University of Texas Southwestern Medical Center in 2013. Knowing they wanted to add children to their family, Laura and her husband moved to Massachusetts to be closer to family. Laura has lived in 7 states and 3 countries, but is happy to have found a home in Massachusetts and hopes to never see another moving box again. Laura currently lives in the Boston area with her husband, two sons and two cats. 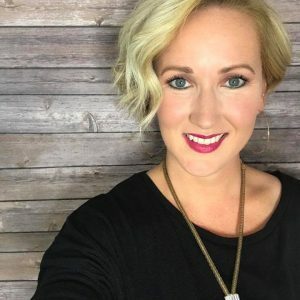 Laura has a passion for women’s health and connecting with other women. Most recently, she served as a registered dietitian at a local outpatient clinic, advising pregnant and non-pregnant clients on a healthier lifestyle. In 2006, Laura spent six months volunteering at an orphanage in Cusco, Peru that was almost entirely run by women. The experience had a profound effect on her life and her desire to serve women and children. Laura forges powerful connections with women in her personal and professional life and has desired to pay that positivity forward. Laura is passionate about nutrition but wanted to find a career that allowed her to form more personal relationships with clients. This led her to seek out doula training and to join Boston Birth Associates where she could combine her knowledge of nutrition with her desire to serve women during pregnancy and motherhood. Laura had two beautiful, doula assisted births and aspires to provide the same love and support to women she has received during pregnancy, birth and motherhood. Laura will be offering nutrition and labor doula services at BBA. Surey’s fascination with all things pregnancy and birth began from a very early age. In fact, one of the first jobs she ever aspired to as a small child was that of “baby doctor.” At any family or community event, she could always be found wherever the babies were, helping to care for them and give their moms a well-deserved break. Born and raised in Puerto Rico, she eventually obtained a Bachelors in Anthropology and a Masters in Archaeology & Heritage Management. During much of her studies she focused on cultural norms and practices surrounding gender identity, sexuality, and the construction of womanhood and motherhood. However, academia was not where her passion lay, and her fascination with childbirth and supporting growing families kept beckoning. When she had the opportunity to support her baby sister in having her own baby, Surey knew she had found what she was meant to be doing. Since then, her commitment to help families transition into life with a new baby (or babies) has not waivered. She is constantly pursuing further education and training to better serve the families she is honored to work with. At present, Surey is a certified Labor Doula, Postpartum & Infant Care Doula, Postpartum Placenta Specialist, Belly Bind Wrap Artist, Certified Lactation Counselor, Child Passenger Safety Technician, Childbirth Educator, and Sleep Coach. Surey lives in southern MA with her husband and their mischievous kitty. Meghan Scafati grew up in Methuen, MA, as an only child surrounded by her large, close-knit extended family. Her cousins have always been more like siblings, and from babysitting frequently by age 11 to being a proud Auntie to 12 amazing kids, Meghan has been a nurturer her whole life. After graduating UMass Lowell with a Bachelors in Criminal Justice and Psychology, Meghan worked as a manager within state government for 10 years. It was there that she met her husband; they married in 2013 and have a 2 year old daughter. After a high-risk pregnancy and her own experience giving birth with wonderful doula support, Meghan felt compelled to join Boston Birth Associates to give other families what she had received – amazing, non-judgmental support, informed choices, and confidence. Meghan has a myriad of past experience, both personal and professional, that has given her the skills to help mothers and families navigate this incredible, chaotic, challenging, and beautifully transformative time in their lives. Meghan completed the Labor and Postpartum & Infant Care trainings through ProDoula and also provides Maternity Concierge services for BBA. Maternity Concierge options include event planning (baby showers/sprinkles, baptisms/christenings, birthday parties, etc.) and design services (nursery, playroom, etc. ), both of which Meghan has varied and comprehensive experience handling – and a genuine passion for! 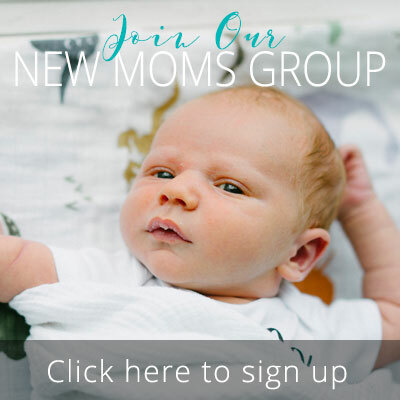 Planning these things can be very overwhelming for new and even seasoned parents, so leave it to someone who loves considering the tiniest details and developing a way to make your perfect vision come to life. Meghan would be thrilled to help you plan and execute a wonderful event or a beautiful, functional space!